Arnold Schoenberg was an Austrian-American composer, teacher and music theorist. Check out this biography to know about his childhood, family life, achievements and other facts about his life. 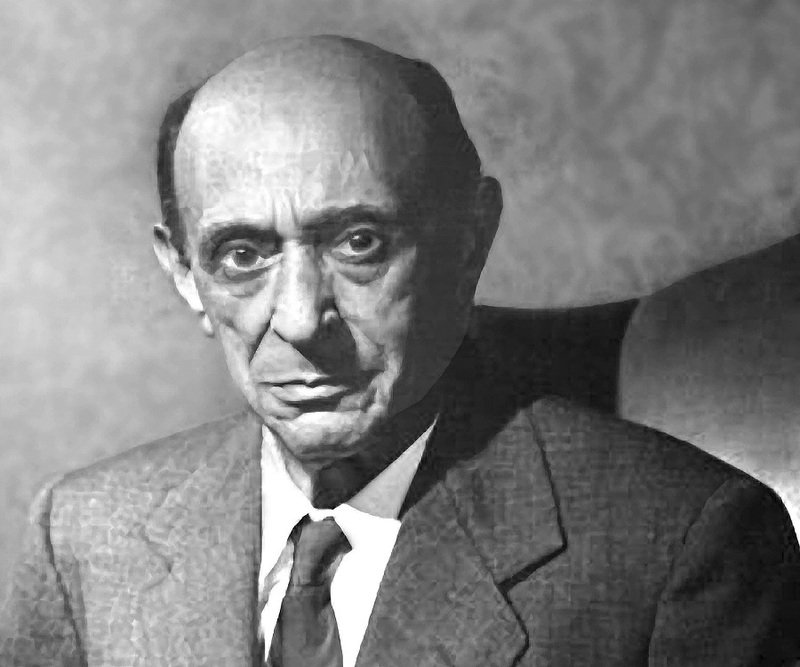 Arnold Schoenberg, famed for developing the highly celebrated twelve-tone technique, was an Austrian-American composer, teacher and music theorist, who left a lasting influence on the musical scenario of the twentieth century. Born as Arnold Franz Walter Schönberg into a lower middle-class Jewish family in the later part of the nineteenth century in Vienna, he was mostly an autodidact, having rudimentary formal training only in violin. Later on, he received instruction from Alexander Zemlinsky in harmony, counterpoint, and composition. Initially his music was rejected as too radical both by the critics and audiences. Consequently, he began to rely more on teaching as the major source of his income and this resulted in the formation of what later became known as the Second Viennese School. In the early 1930s, with the rise of Nazi power, he was forced to flee to the USA, where he was engaged as a professor at the UCLA. Concurrently, he continued to compose, creating many masterpieces. Today, his legacy remains preserved at Arnold Schönberg Center Privatstiftung in Vienna. 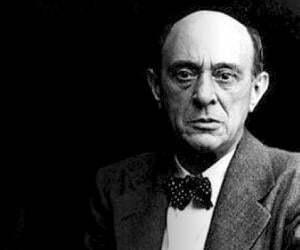 Arnold Schoenberg was born on 13 September 1874 in Leopoldstadt, a predominantly Jewish district in Vienna. His father, Samuel Schönberg, who ran a small shoe shop, was originally from Bratislava. His mother, Pauline née Nachod, was a piano teacher from Prague. Arnold was born second out of his parents’ four children. His eldest sister, Adele (Feigele) Schönberg, died at the age of two. Younger to him was another sister named Ottilie Kramer Blumauer and a brother named Heinrich. Since the apartment they lived in was too small to house his mother’s piano, it is unlikely that he had piano lessons from her. However, he had violin lessons from a professional teacher from the age of eight. Otherwise, Arnold was mostly autodidact. That he was a genius was evident from the very start. By the age of nine, he could play violin duets of Viotti and Pleye. This was also the time he started composing little pieces for violin. Not much is known about his education except that he was an average student in school. More significant is the fact that it was while studying in the secondary school that he became friendly with Oskar Adler. Very soon, the two developed a close bonding, which lasted throughout their lives. Adler encouraged Schönberg to learn cello so that a group of them could play string quartets. 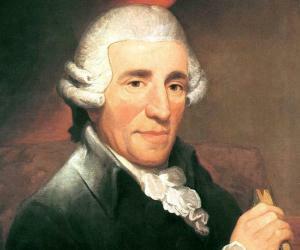 He not only learned the instrument; but also began to compose quartets. Although Adler himself was self-taught, he was also the one who taught Schönberg the rudiments of music, especially in harmony and counterpoint. He also gave him the basic instruction in philosophy and played chamber music with him. On New Year’s Eve in 1889, when Arnold Schönberg was just fifteen years old, his father suddenly passed away. Very soon, it became imperative that he start earning. At his mother’s request, Schönberg left school in January 1891 and became an apprentice with Privatbank Werner & Comp, working there until it became bankrupt in 1895. Thereafter, he mainly earned his living by orchestrating operettas. Around 1894/1895, Arnold met Alexander von Zemlinsky, a rising young composer, who conducted the amateur orchestra, Musikalische Verein Polyhymnia, where Schönberg played the cello. Subsequently, the two became close friends, and from Zemlinsky, Schönberg had further lessons in harmony, counterpoint, and composition. Zemlinsky also played an important role in grooming Schönberg for his entry into the cultural as well as social life of Vienna. Indeed, all through his life, Schönberg had acknowledged Zemlinsky as his only teacher. On 2 March 1896, Schönberg had his debut at a Polyhymnia concert, where his work was performed for the first time in any public concert. However, his first important work was ‘String Quartet in D Major’, which he wrote in 1897. It was first performed during the concert session in Vienna in 1897-98 and then again in 1898-99. In both the occasions, it was well received by the audience. He was by now well-known enough to receive his first student, Vilma von Webenau. Very soon, he became a part of the vibrant circle of artists that thronged the city’s coffee shops and beer bars. Yet, he must have felt alienated because of his faith and to strengthen his ties with Western European culture, he converted to Christianity in 1898. In 1899, inspired by Richard Dehmel's poem of the same name, he wrote ‘Verklärte Nacht’ (Transfigured Night). 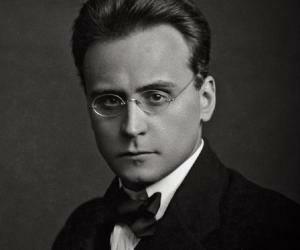 By then, he had met Mathilde von Zemlinsky and his feelings for her also played an important part in its composition. However, it could not premiered before 1903 because of its Wagnerian style. In 1901, Arnold Schönberg moved to Berlin in search of better financial prospects. By then, he had married Mathilde, which was not approved by many in his old circle and they began to avoid him. In Berlin, he found employment as the musical director at the Überbrettl, an intimate artistic cabaret. Although he continued writing songs for the group, he was not at all happy as the position was neither artistically nor financially rewarding. While working under such stressful conditions, Schönberg met the German composer Richard Strauss, who quickly recognized his acumen as a composer. Strauss not only helped him to get a job as a composition teacher at the Stern Conservatory, but also played a significant part in securing the Liszt stipend for him. Strauss also encouraged him to compose for big orchestra. Inspired by him, Schönberg composed his only symphonic poem in 1902-1903. Titled, ‘Pelleas und Melisande’, it was based on a drama by Maurice Maeterlinck. Shortly after that, he returned to Vienna. On returning to Vienna in the summer of 1903, Arnold Schönberg started living in the upcoming Ninth District. Some time now, he met Gustav Mahler. This was also the year, he had his ‘Verklärte Nacht’ premiered; but the work was too radical for the audience and was rejected. In spite of such rejections, Schönberg continued to work. ‘String Quartet No. 1 in D Minor, Op. 7’ (1904) and ‘Chamber Symphony in E Major’ (1906) were two of his unusual works of this period, which the audience found hard to appreciate. From 1904 onwards, to augment his income, he also started taking students. Very soon, he began to make his mark in this field and had Alban Berg, Anton Webern, Heinrich Jalowetz, Karl Horwitz and Erwin Stein among his students. One day, they would form the Second Viennese School. In 1908, Schönberg came face to face with a personal tragedy when his wife ran away with one of his students. Although she came back to him within a few months, the incident had a great impact on his works. It was during her absence that he wrote ‘Du lehnest wider eine Silberweide’ (You lean against a silver-willow). So far, his works were strictly tonal; but in this composition, he moved away from this tradition and wrote it without referring to any specific key. Also in 1908, he completed ‘String Quartet No. 2’. Although he had used traditional key signatures in the first two movements of this composition, in the last two movements he had wakened its links to the traditional tonality. It is also the first string quartet to include a soprano vocal line. He now continued his work in the new direction, composing a number of atonal pieces among which ‘Five Orchestral Pieces, Op. 16’ (1909) and ‘Pierrot Lunaire, Op. 21’ (1912) are the most significant. 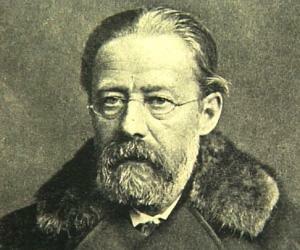 Meanwhile in 1910, he wrote ‘Harmonielehre’, one of the most influential music-theory books till date. By 1911, he had moved once again to Berlin in search of better opportunities. 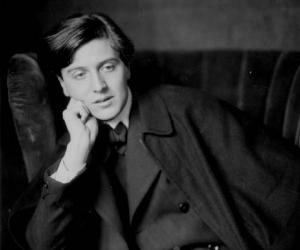 While there, he received a job offer from the Vienna Conservatory; but turned it down to remain in Berlin until 1915, when he had to return to Vienna to report for military service. In 1916-1917, Arnold Schönberg spent a brief period serving in the army. Although he was released in 1917 on medical grounds, he did little composing. Instead, in the autumn of 1918, he founded Verein für musikalische Privataufführungen (Society for Private Musical Performances) in order to provide a platform for developing modern music. Towards the end of 1921, he discovered a novel method of composition that involved 12 different tones. In the same year, he composed his first 12-tone piece, ‘Piano Suite, Op. 25’. By now, his music had begun to be appreciated, both by critics and audiences. Concurrently, he also became well-known as a teacher and in 1925, he was appointed Director of a Master Class in Composition at the Prussian Academy of Arts in Berlin, a position he held from 1926 to 1933. During this period, he produced a number of masterpieces, among which were ‘Third String Quartet, Op. 30’ (1927); ‘Von Heute auf Morgen, Op. 32’ (1928-1929)’; Begleitmusik zu einer Lichtspielszene, Op. 34’ (1929-1930). Also in 1930, he started working on one of his greatest, but incomplete, works, ‘Moses and Aron’. In 1933, as the Nazi Party rose to power in Germany, Arnold Schönberg, who was born Jewish, lost his job. He was then vacationing in Paris and decided not to return. He first tried to migrate to Great Britain; but when that failed, he chose the USA. While living in Paris, he reverted to Judaism in a local synagogue, mainly because he found that his Jewish faith and culture were inescapable. It was also a protest against the rising anti-Semitism. In the USA, his first job was at Malkin Conservatory, Boston, which he joined in November 1933. Thereafter in October 1934, he moved to California, mainly for health reasons. Also in 1934, he Americanized his name into Schoenberg. In 1935, he joined the University of Southern California. Concurrently, he also became a visiting professor at the University of California, Los Angeles. Then in 1936, he became a full professor at UCLA, a position he held until 1944. Meanwhile in 1941, he became an American citizen. This period was also important from an artistic point of view. ‘Violin Concerto, Op. 36’ (1934/36), the ‘Kol Nidre, Op. 39’ (1938), the ‘Ode to Napoleon Buonaparte, Op. 41’ (1942), the ‘Piano Concerto, Op. 42’ (1942), and ‘A Survivor from Warsaw, Op. 46’ (1947) are a few of his notable works of this period. Arnold Schoenberg is best remembered for his invention of the twelve-tone technique, also known as dodecaphony or serialism. It ensures that all the twelve notes of the chromatic scale are given more or less equal importance, thus preventing emphasis on any one note. He is also known as the proponent of the Second Viennese School, which comprised the composer, his pupils and close associates. Initially characterized by late-Romantic expanded tonality, their music later evolved first into atonality and finality into serial twelve-tone technique. Arnold Schoenberg married Mathilde Zemlinsky, the sister of his teacher Alexander von Zemlinsky, on 7 October 1901. The couple had two children: a daughter named Gertrud, and a son, Georg. During the summer of 1908, Mathilde, feeling excluded from her husband’s social circle, ran away with the Austrian painter, Richard Gerstl. However, she returned after a few months and the couple lived together until her death in October 1923. In August 1924, Schoenberg married Gertrud Bertha Kolisch, a sister of his pupil, the violinist Rudolf Kolisch. He had a daughter, Dorothea Nuria and two sons, Ronald and Lawrence, from this marriage. Schoenberg suffered from triskaidekaphobia or the fear of the number 13. As he turned 76, an astrologer warned him that the year may be dangerous for him as seven and six makes thirteen. On 12 July, 1951, he felt sick, anxious and depressed, spending the whole day in bed. On the night of 13 July, 1951 he had a heart attack and died from it at 11:45 pm, just 15 minutes before midnight. Schoenberg's mortal remains were cremated. Later on 6 June 1974, his ashes were interred at the Zentralfriedhof in Vienna. His works, which are archived at the Arnold Schönberg Center Privatstiftung in Vienna since 1998, continue to carry his legacy.